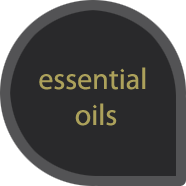 The pure essential oils help to maintain health, beauty and good mood. Essential oils have many healing properties. Can be used on their own or in combination. Received from various wild herbs of Crete and citrus fruits through specialized methods. Attention: the use of essential oils during pregnancy and lactation is prohibited. Eucalyptus essential oil. Antimicrobial. For chest infections, rheumatism and arthritis. Insect repellent. 7ml.